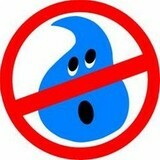 Mr. Dry Out Inc is a water damage restoration serving the Hudson, FL area since 2004. Services include Water Damage Restoration, Dry Out Services, Emergency Water Removal, Flood Damage, Storm Damage, Mold Remediation, Mold Testing, Burst Pipe and Sewage Cleanup. 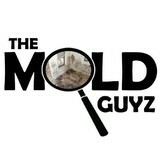 We are a full service restoration company specialized in Mold and Water damage. From start to finish, our team of Mold experts work quickly and efficiently to complete all aspects of Inspection & Remediation to your Mold damaged property. Our Licensed and Insured Mold Assessor's & Mold Remediator's are available to handle your mold testing, inspections & mold removal needs when they arise. We understand that mold in your home can be an overwhelming and fearful thought, your peace of mind is important to us, we work quick and efficiently to help you and your family return your home to a safe indoor environment again. 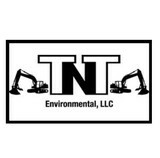 TNT Environmental serves the Tampa, FL area and surrounding communities with Demolition, Pool Removal, Excavation, Dumpster Rental and more. We are fully licensed, insured and committed to excellence in all aspects of our business. For the best local demolition contractor in Tampa FL, give TNT a call at (813) 714-4202 today! SERVPRO of West Pasco understands the stress and worry that comes with a fire or water damage and the disruption it causes your life and home or business. Our goal is to help minimize the interruption to your life or business and quickly make it "Like it never even happened." Since 1991, our family-owned and operated company has specialized in the cleanup and restoration of residential and commercial property after a fire, smoke or water damage. SERVPRO of West Pasco can also mitigate mold and mildew from your home or business, provide removal of biohazard substances after a trauma or sewage backup, and offers professional carpet, tile, duct and other cleaning services. Our staff is highly trained in property damage restoration. From initial and ongoing training at SERVPRO’s corporate training facility to regular IICRC-industry certification, rest assured our staff is equipped with the knowledge to restore your property. 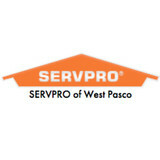 With a nationwide system of qualified franchises, no damage is too large or too small for SERVPRO of West Pasco. If you would like to schedule service for your home or business, please call today! A Bio Decon and our dedicated, experienced staff will help you through this emotionally traumatic time by allowing you the privacy that you deserve. 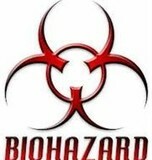 We will provide you with unmarked vehicles; discreetly and safely, removing any bio hazardous or infectious wastes; disposing of them through a State of Florida approved biohazard facility. We will remove, disinfect, and remove all odors from blood, body fluids, and biohazards related to a crime scene or any unattended death. We use chemicals that are environmentally safe, yet effective. We will provide you with water extraction and restoration, using state-of-the-art equipment for dehumidification and mold mitigation services, as well as fire and smoke restoration services. We strongly recommend that you do not attempt to clean up the scene yourself because of health and environmental hazards, as well as emotional pain associated with the trauma. We specialize in all areas of residential and commercial insurance reconstruction. With over 16 years of experience, our team of highly skilled individuals have the ability to restore all types of homes and buildings very efficiently. We have experience restoring homes in all different price ranges, including mobile homes, rentals, and high-end million dollar homes. We also have extensive experience in reconstructing commercial structures of all kinds. Deeb Building Restoration is a family owned business that is driven by a strong work ethic. Our team is extremely dedicated to delivering stellar customer service to each and every homeowner or business owner, no matter how big the claim. We strive to provide high quality workmanship and we stand behind all of our work. We understand how important your home is to you, so we empathize with you when you are faced with any unforeseen disaster. These disasters can often create an enormous amount of stress and anxiety. We specialize in taking those burdens away. 1-800-DRY-ME-OUT is the premier provider of flood cleanup services in Tampa, FL and all the surrounding areas. We believe in providing quality, courteous and professional services to ultimately return your home or business back to its pre-loss condition – fast. Whether you’re a victim of storm or hurricane damage or you’ve discovered a broken or leaky pipe, a sewer line break, a sink or toilet overflow, or a malfunctioning appliance like a water heater, washing machine, dishwasher or refrigerator in your home, we are equipped to handle any problem of any size. All it takes is one phone call and we can arrive on the scene within minutes. We are here 24/7 with a licensed and certified water damage technician available to you immediately. If your home has experienced a major flooding event and you are wondering what steps you should take to get things back to normal, turn to the restoration pros at DTS Restorative Services Inc. for assistance. We are committed to helping you with all of your refurbishing challenges, with the goal of returning your home to the beautiful, happy space that it once was. Our proven effective drying process is the key. Your Orlando, FL area home may have a plumbing leak; it may have be flooded because of a major storm, or may have experienced other types of water damage. Rest assured that we can help you with these kinds of issues and many others. As a trusted leader in the restoration industry, SERVPRO of Tarpon provides 24-hour emergency service and is dedicated to being faster to any size disaster. We can respond immediately to your emergency and have the expertise to handle your restoration or cleaning needs. Buy properties, remodel, stage interior and exterior and sell. I have a drafting design back ground along with construction skills. Find environmental services and restoration professionals on Houzz. Narrow your search in the Professionals section to Citrus Hills, FL residential environmental testing and home disaster restoration services to find a list of qualified professionals. Read through professional profiles for information on qualifications, experience and services provided.